On Sale! Regular price $68, now $34! 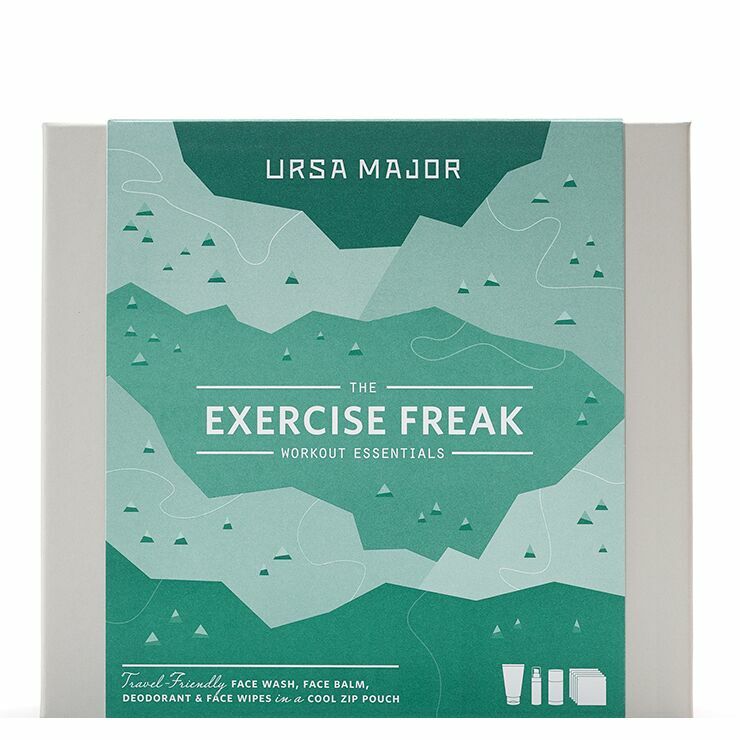 Keep it fresh with four invigorating Ursa Major workout essentials, a must for any gym bag. Featuring organically sourced ingredients, these workout must-haves naturally leave skin feeling cleansed, hydrated, and fresh. Fortifying Face Balm - Aloe barbadensis (aloe vera) leaf juice*, glycerin, hydrolyzed myrtus communis (myrtle) leaf extract*, helianthus annuus (sunflower) seed oil*, leuconostoc/radish root ferment filtrate, caprylic/capric triglyceride, hamamelis virginiana (witch hazel) leaf water, salix nigra (willow) bark extract, aleurites moluccana (kendi) seed oil, opuntia ficus-indica (prickly pear) stem extract, daucus carota (carrot) seed oil, hydrogenated lecithin, betula alba (birch) sap, olea europaea (olive) leaf extract, sclerotium gum, lavandula angustifolia (lavender) flower oil*, citrus aurantifolia (lime) peel oil, melaleuca quinquenervia (niaouli) leaf oil*, boswellia carterii (frankincense) resin extract, vanillosmopsis erythropappa (bisabolol) wood oil, mentha spicata (spearmint) leaf oil, chondrus crispus (carrageenan), glucose, rosmarinus officinalis (rosemary) leaf extract*, maltodextrin, mentha spicata (spearmint) leaf extract, xanthan gum, p-anisic acid. 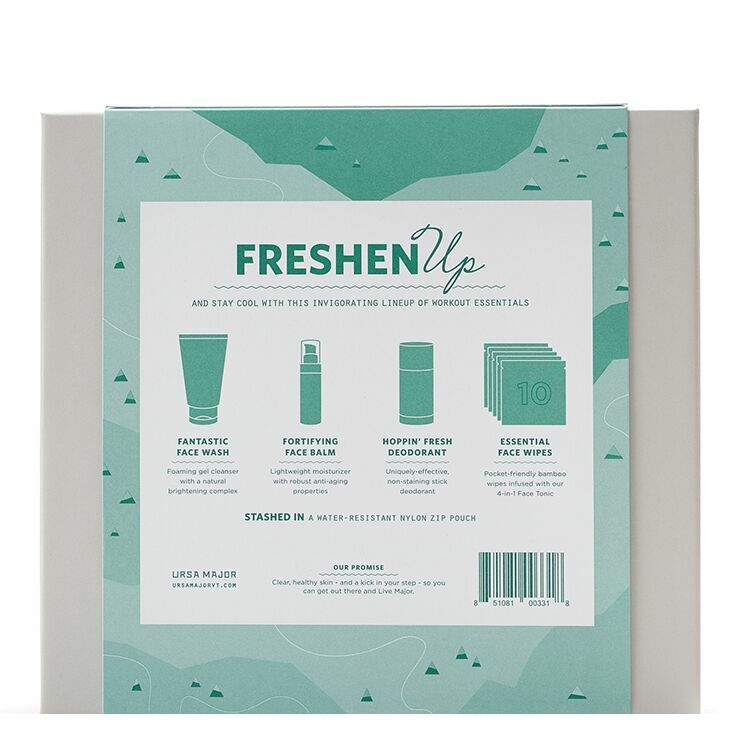 Hoppin' Fresh Deodorant - Aloe Barbadensis (Aloe Vera) Leaf Juice*, Propanediol, Sodium Stearate, Tapioca Starch, Silica, Microcrystalline Cellulose, Cellulose Gum, Butyrosperum Parkii (Shea) Butter (Community Trade), Sodium Bicarbonate, Kaolin (Clay), Tocopheryl Acetate, Glyceryl Caprylate, Glyceryl Undecylenate, Glycerin, Royal Jelly Extract, Humulus Lupulus (Hops) Extract, Citrus Medica Limonum (Lemon) Peel Extract, Panax Quinquefolium (Ginseng) Root Extract, Calendula Officinalis (Calendula) Flower Extract, Chamomilla Recutita (Matricaria) Flower Extract, Saccharomyces Ferment, Rosmarinus Officinalis (Rosemary) Leaf Oil, Mentha Piperita (Peppermint) Oil, Citrus Grandis (Grapefruit) Peel Oil, Eucalyptus Globulus (Eucalyptus) Leaf Oil.